Baltusrol Golf Club in Springfield has hosted many national championships. 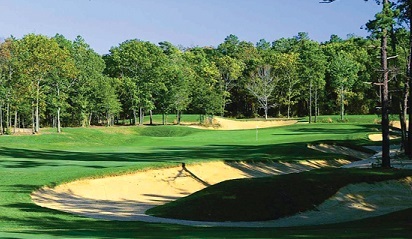 Hominy Hill in Colts Neck has a classic Robert Trent Jones design that makes it New Jersey’s # 1 course. Sand Barrens Golf Club in Swainton is challenging. It has many beautiful views, and is semi-private with very reasonable off-season rates. Don’t forget you can golf late into the fall when the season is at its peak. Before you leave New Jersey, you might want to visit the United States Golf Association Museum, Library and Archives in Far Hills. It is a popular site to gain valuable information, so check out details before you go.